Opting to sign up to a pre-nuptial agreement before tying the knot is still seen by many as unnecessary and unromantic. They can also be seen as just another expense to add to the wedding list alongside the venue, the dress, the food, the entertainment and whatnot. The flip side of that, of course, if that they can save a couple thousands if things don’t work out in the longer term. Think of it like marriage insurance – you hope you won’t need it, but it can protect your assets if the relationship does end. 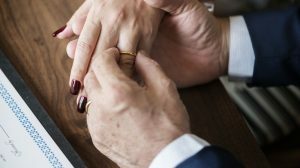 While younger couples, with some justification, may argue they have few assets to protect, an older couple walking down the aisle later in life, perhaps not for the first time, potentially have more to protect. Over the course of their life there may be property, household collections, savings, business interests, and, potentially, significant pension pots. Without properly protecting these going into a union, assets that have taken a lifetime to build up could end up being lessened significantly through a divorce settlement. A prenuptial agreement is a document drawn up by both parties in advance of getting married setting out how certain assets will be allocated in the event of a divorce. Both sides must take legal advice and it must be drawn up by a specialist family law solicitor. While not absolutely legally binding in the UK, they do carry significant weight with courts when a marriage is being dissolved. The common starting point for discussions over division of assets on divorce is 50/50, with a host of factors then taken into consideration, such as who has a larger income, the ability to support yourself when you go it alone, sacrifices made career-wise to look after any children, savings and pension. The pre-nup can help head off disputes in these areas and make a discussion much more amicable when assessing assets accrued during a marriage. An important point for older couples can be provision for any children from a previous union. Without any specific protection, any savings or plans for succession you may have for your existing children would be “put into the pot” for division if the second (or subsequent) marriage failed, reducing what you can leave for your children. A pre-nup can stipulate how these are ring-fenced and so protected for your offspring. Some older people who are on second or third marriages may have been left feeling unhappy with a previous settlement. A pre-nup is a way of ensuring history does not repeat itself. The saying goes that we get “older and wiser”. Opting for a pre-nup before getting married later in life would prove as much as anything that this remains true. When you have more to lose, the more you can do to protect it the better and a pre-nup does just that.